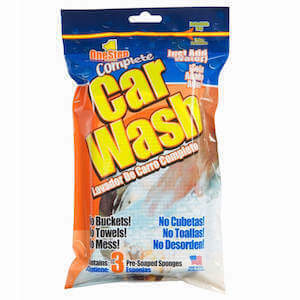 Just add water to activate our 1 Step Car Wash. No need for buckets and the extra cleanup. Each sponge lasts to clean your car. Mesh bag included to remove bugs and grime.